Overcoming all the inherent instabilities of an emulsion is a complex task. The most common practice to solve this challenge is the use of high concentration of surfactants, high temperature and constant high shear. Producing fluid emulsions with high oil content is even more difficult. Existing technologies offer limited possibilities to solve this problem. There are few solutions in the market that are able to allow different sensory properties, cold processing, fluid emulsions and guarantee good stability. Combining all these requirements, Chemyunion has developed Powderfeel WR. • Possibility to handle up to 40% oil phase. 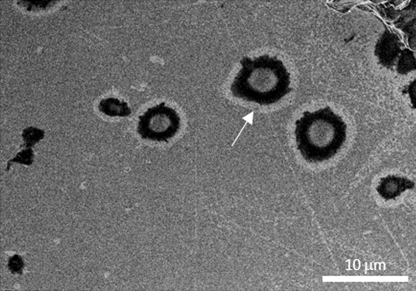 Mechanical barrier formation protecting the emulsion against coalescence, as evidenced by scanning electron microscopy. To learn more about this and other skin care active options, contact Chemyunion, a world-renowned company due to its technological expertise and market trends in the design, development and manufacturing of innovative active ingredients, conventional and functional excipients, and traditional and natural conservatives for health care and personal care, targeting consumers around the world through relevant global brands.Learn how easy it is to innovate with Chemyunion!